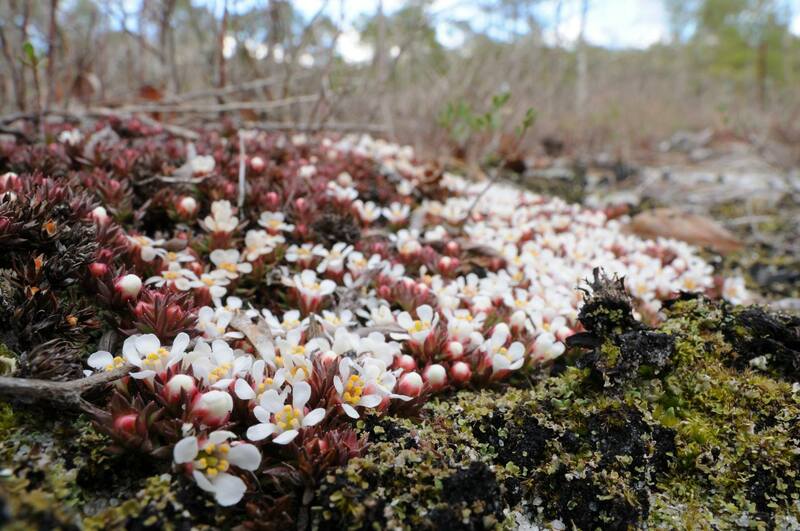 You are here: Home / Home Page / There Really is a Pyxie-moss! Pyxie-moss (Pyxidanthera barbulata) is a diminutive coastal plain endemic found only in the eastern portions of the Carolinas, southeastern Virginia, and the pine barrens of New Jersey and adjacent Long Island. It is adapted to frequent fire and minimizes heat damage by forming dense mats that hug the relatively cool ground. It prefers open, sandy areas where organic litter is kept to a minimum by fire. Virginia has only two remaining pyxie-moss populations and they inhabit an extraordinarily rare natural community type, longleaf pine / scrub oak sandhill woodland, that is known only from southeast Virginia and adjacent North Carolina. Both populations occur in areas that appear dry at first glance but are actually quite moist just below the soil surface due to perched water tables. The soils at these sites are known as spodosols and are extremely acidic and lacking in nutrients. See: https://www.soils.org/discover-soils/soil-basics/soil-types/spodosols). City of Suffolk. Growing with state-rare creeping blueberry (Vaccinium crassifolium). 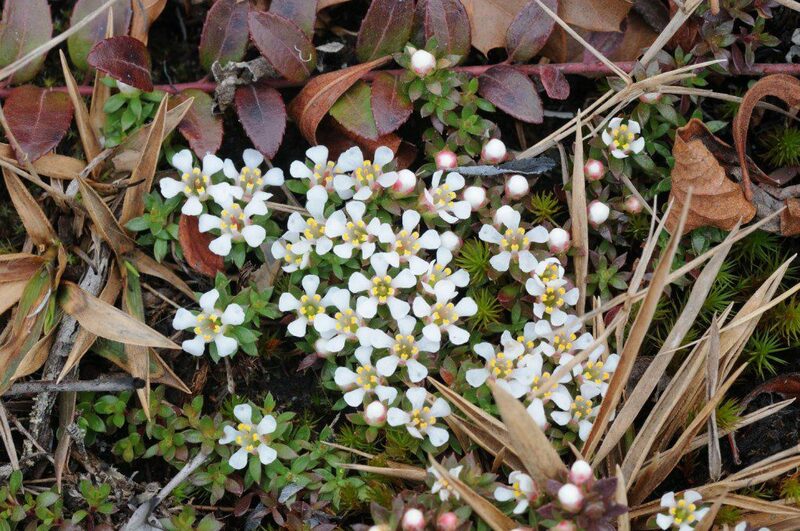 The historic extent of pyxie-moss in Virginia is hard to estimate because longleaf pine, the keystone species in the natural community it nearly exclusively inhabits in our area, has been nearly wiped out from Virginia thanks to 400 years of exploitation for naval stores (pitch, tar, and turpentine), and suppression of natural fires. Fortunately, Virginia’s remaining two pyxie-moss populations are managed as part of the Natural Heritage Program’s Natural Area Preserve System. They are given the fire they need and are responding positively.